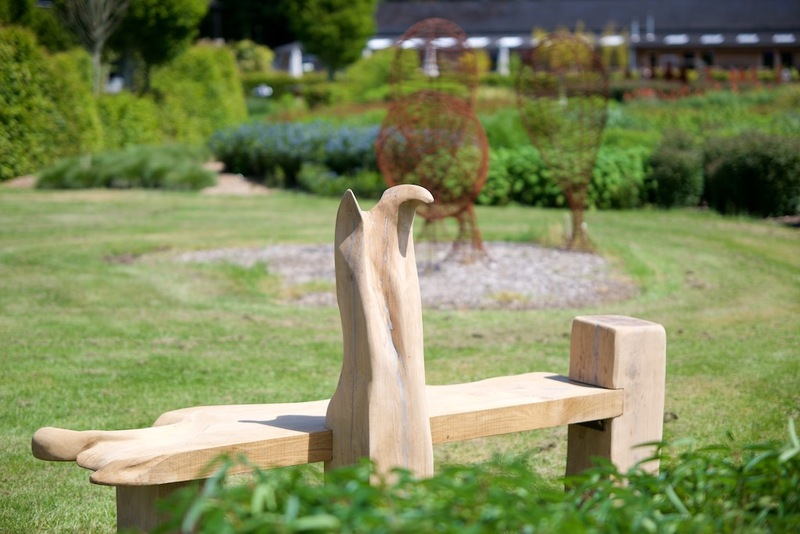 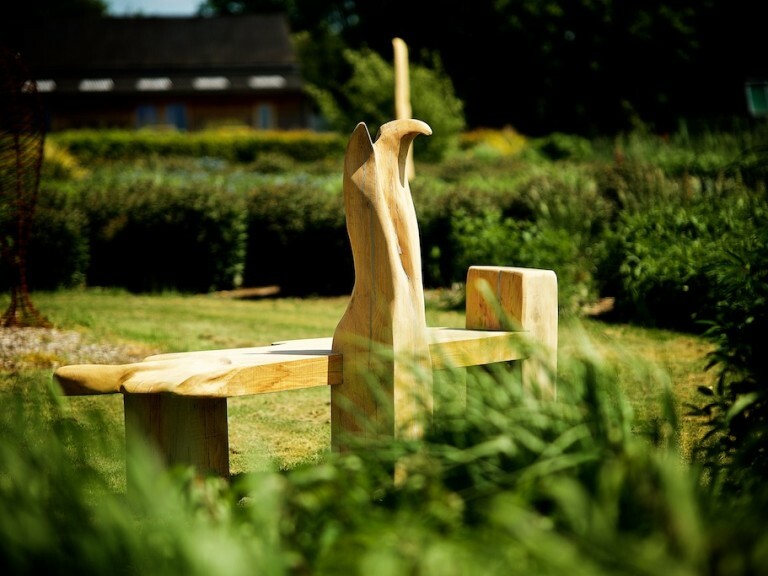 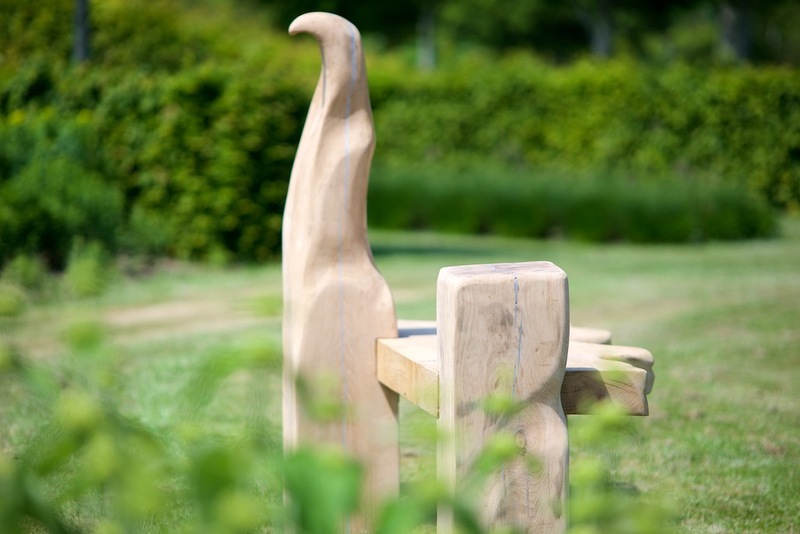 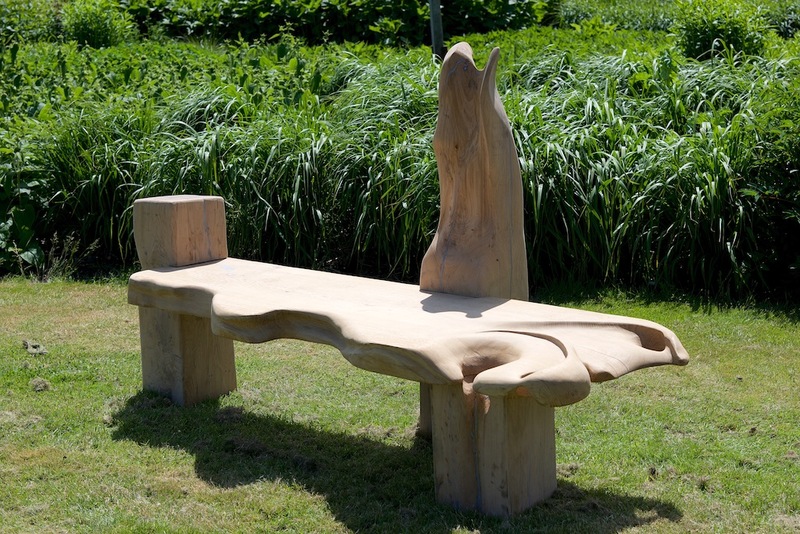 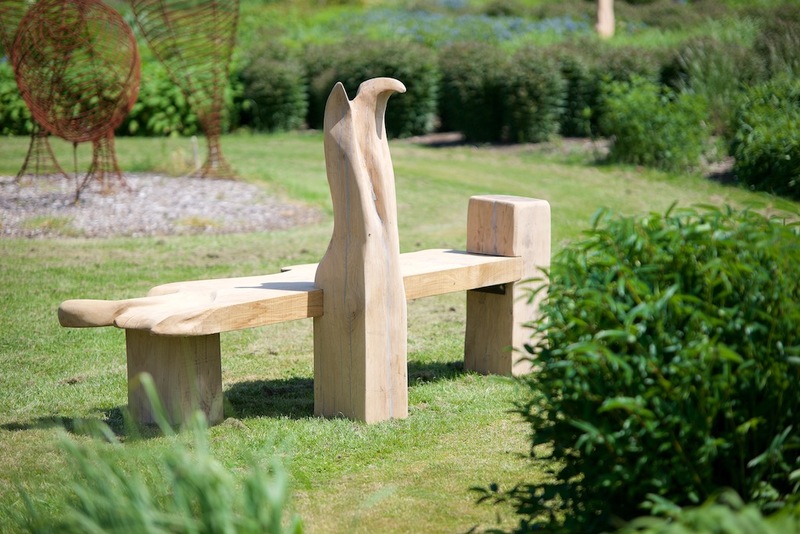 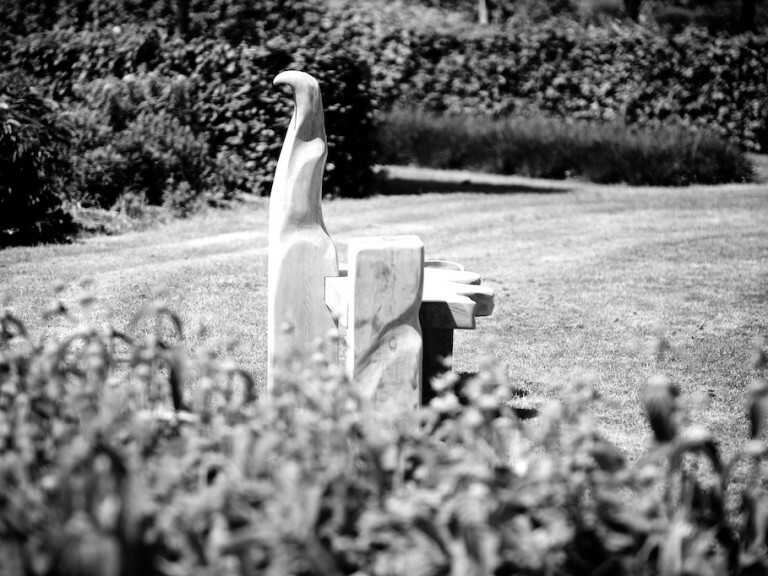 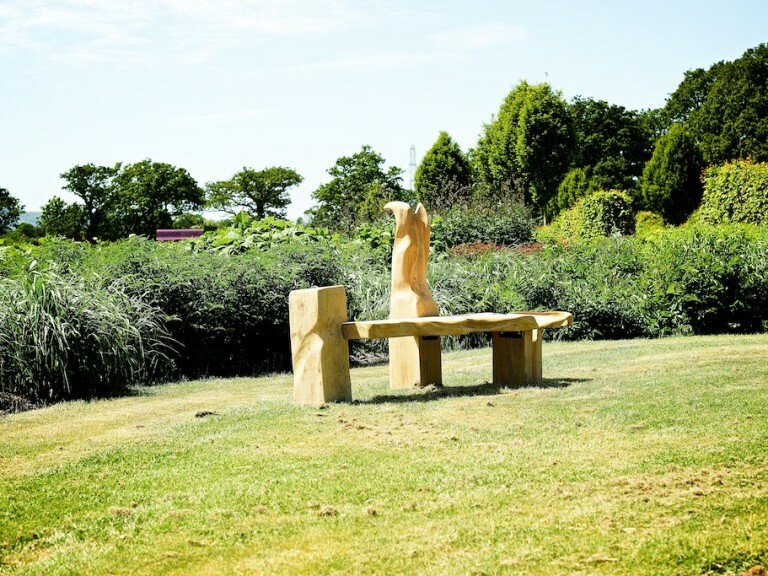 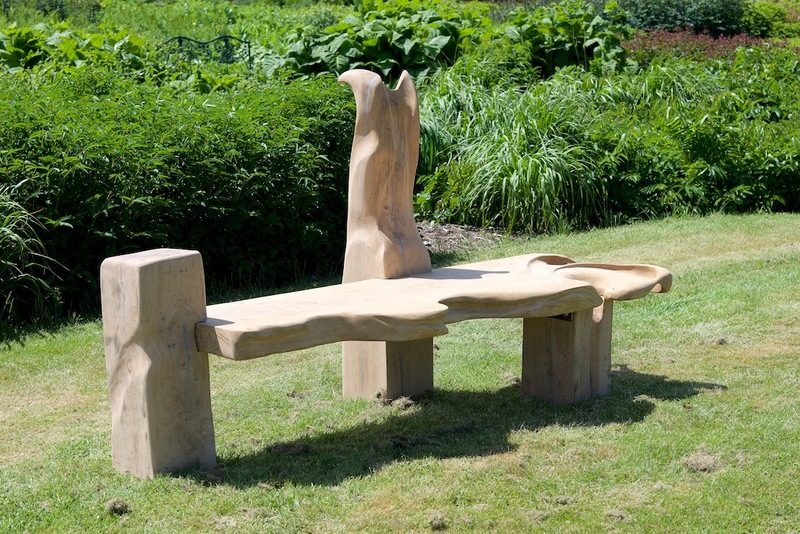 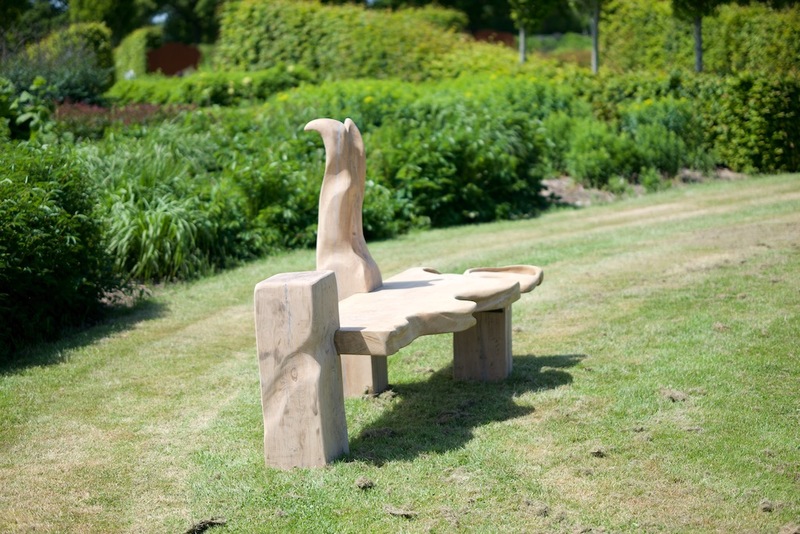 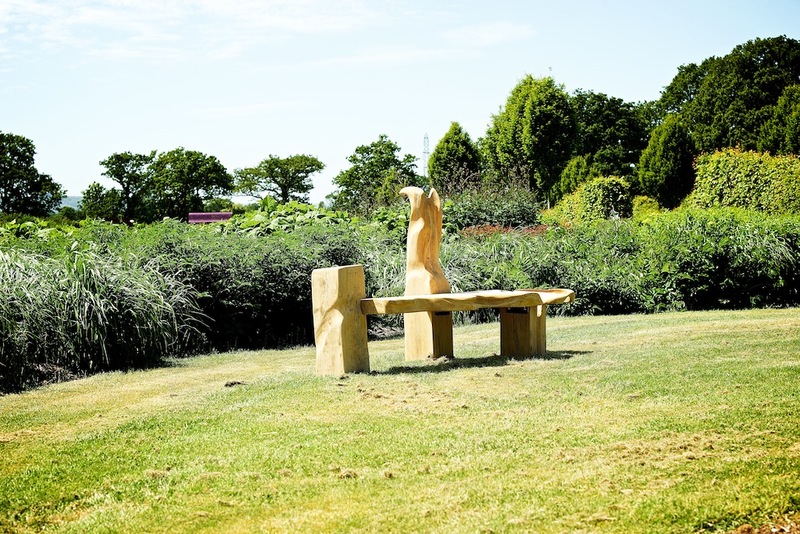 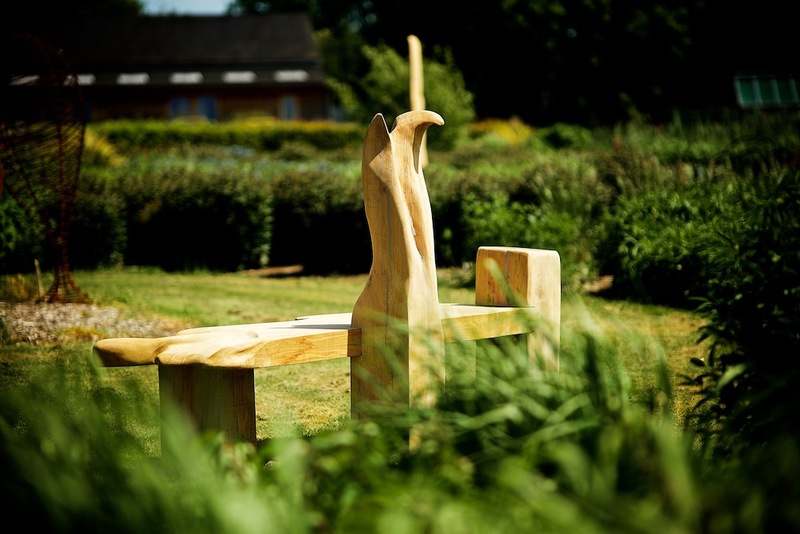 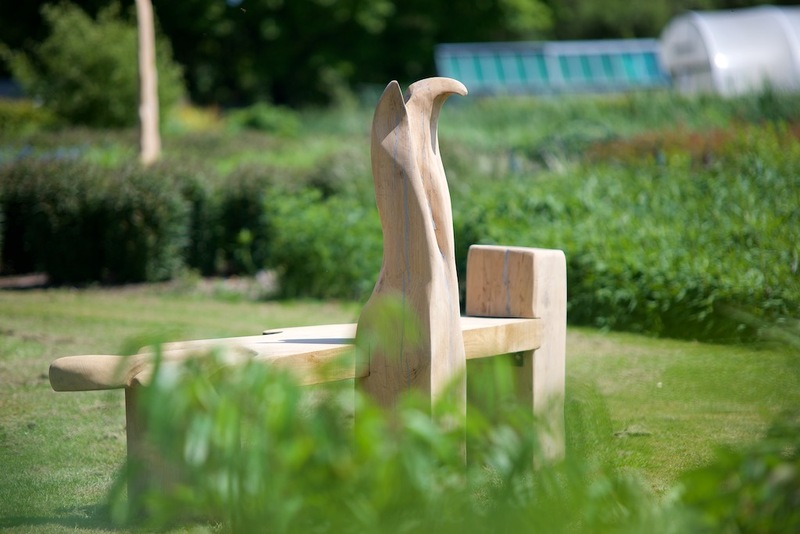 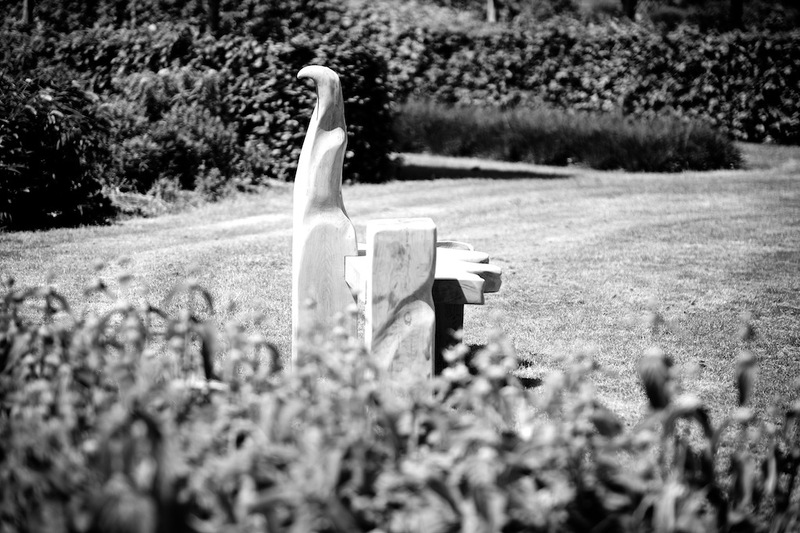 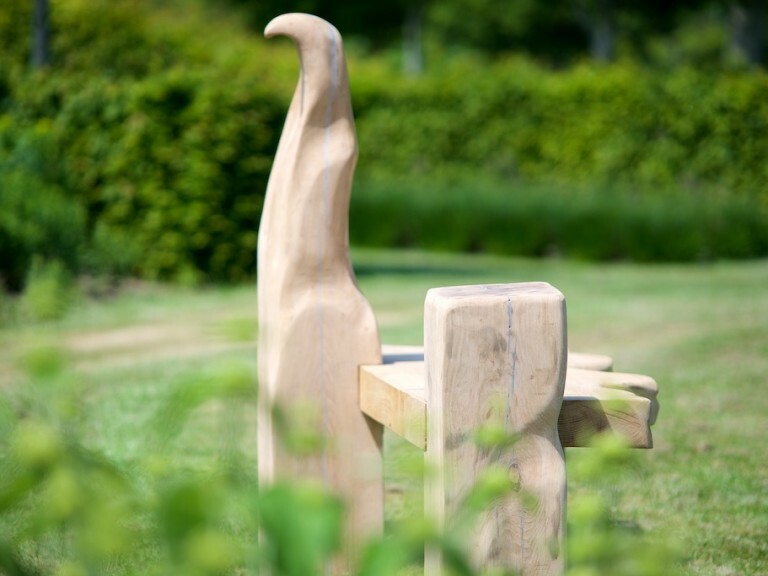 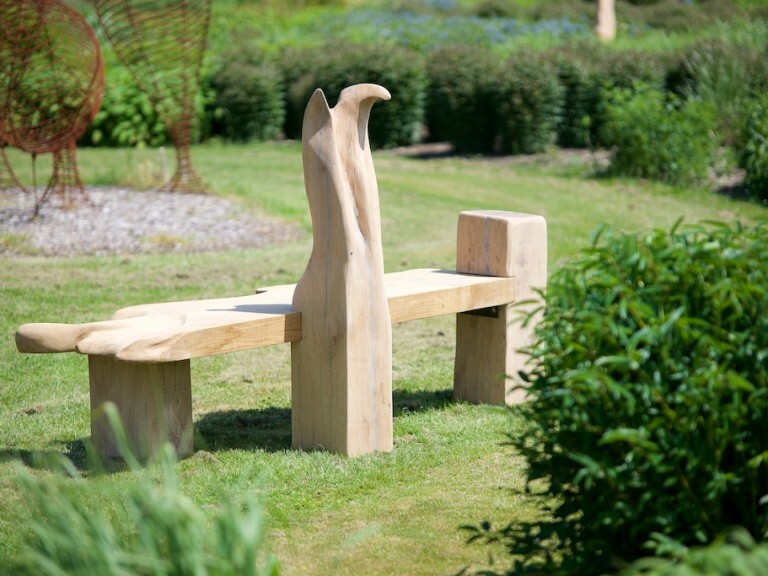 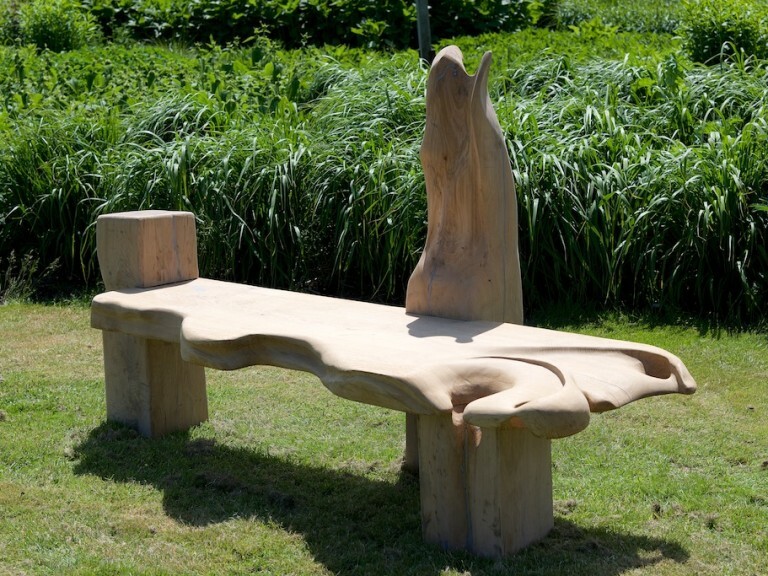 This newly finished three legged oak bench has just gone on display at Sussex Prairie Gardens in Henfield, West Sussex, where it can be seen, used and enjoyed amongst the extremely pretty gardens. 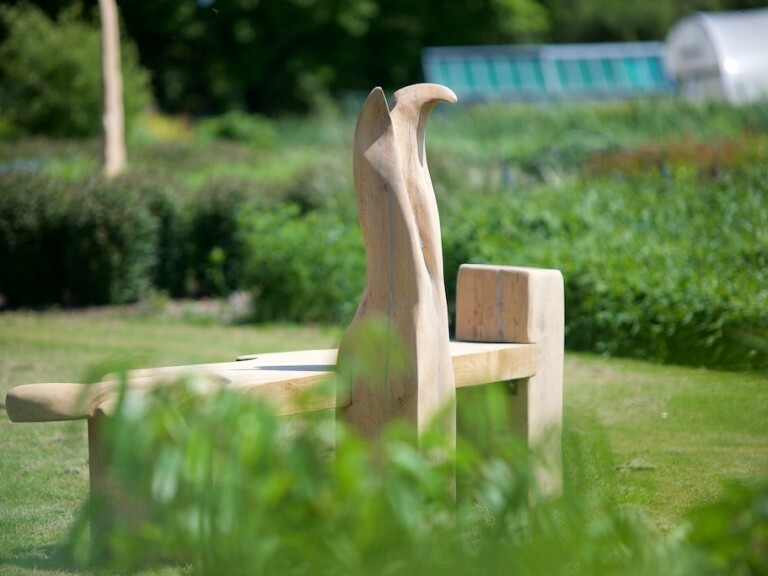 The three legs that support seating area are sympathetically carved in Karl’s signature style, with the tactile centre leg rising upwards, echoing the shapes of the surrounding leafs and planting. 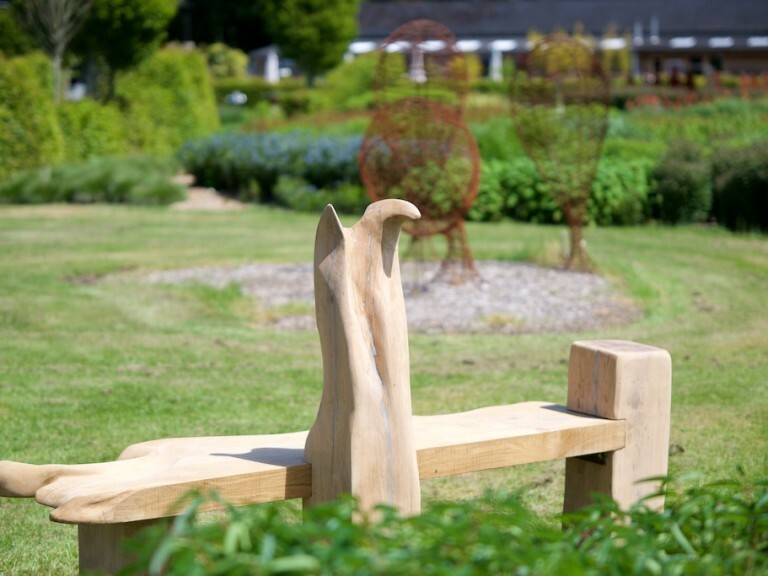 Running through the whole bench, metallic inlays add interest and talking points.